Power windows are electrically-operated windows that involve the use of a button usually placed at the hand rest on the car doors. Many cars these days offer this feature as opposed to the manually-operated handle. In some cars, these switches are present on the central console to be accessed by all the passengers. Power windows do not function when the car is turned off, which serves as a security feature, reducing the changes of car theft. Also, some cars have a window lock on the driver’s hand rest, which prevents children sitting at the back from opening the windows and sticking their body parts out. Having company-fitted controls for power windows is always a good option instead of getting them fixed later. The top variants of Tata Tiago come with company-fitted power windows. 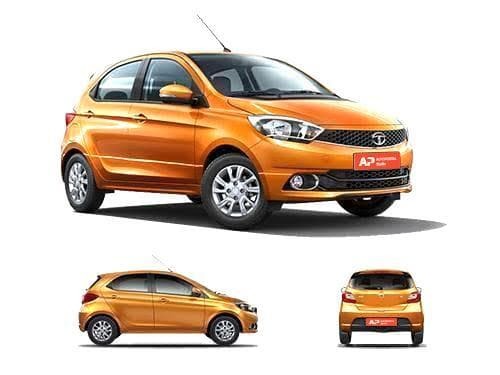 The variants of Tata Tiago that offer power windows as standard include JTP, Revotorq XM, Revotorq XM(O), Revotorq XT, Revotorq XT(O), Revotorq XZ, Revotorq XZ Plus, Revotorq XZ Plus Dual Tone, Revotorq XZ w/o Alloy, Revotron XM, Revotron XM(O), Revotron XT, Revotron XT(O), Revotron XTA, Revotron XZ, Revotron XZ AMT, Revotron XZ Plus, Revotron XZ Plus Dual Tone, Revotron XZ w/o Alloy, Wizz Edition Diesel, Wizz Edition Petrol. The variants of Tata Tiago that do not offer power windows as standard include Revotorq XB, Revotorq XE, Revotorq XE(O), Revotron XB, Revotron XE, Revotron XE(O).